Doshi's design for Bangalore's Indian Institute of Management was inspired by traditional maze-like Indian cities and temples. 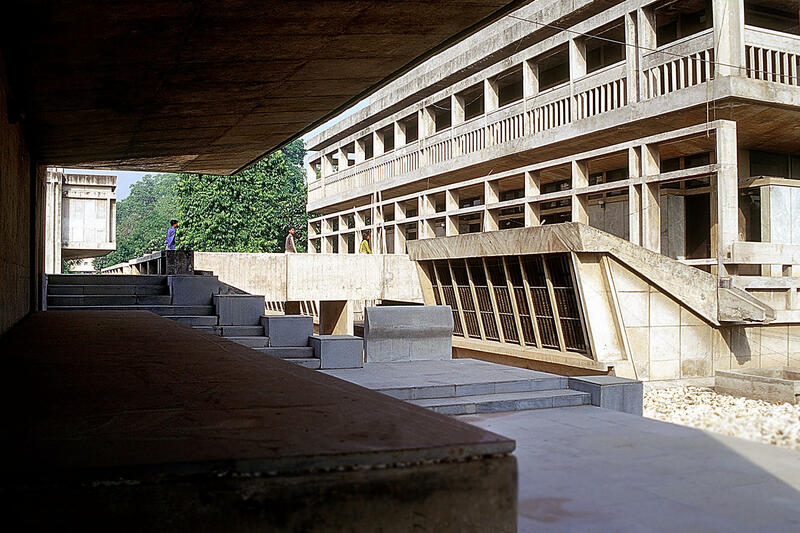 Balkrishna Doshi created the Life Insurance Corporation Housing building in Ahmedabad, India, in 1973. Doshi started studying architecture in 1947, the same year India gained independence. Doshi's design for Ahmedabad's Centre for Environmental Planning and Technology dates back to 1966. Doshi created Ahmedabad's Institute of Indology building in 1962. Over the course of six decades, he has become famous in his native India as an educator who transformed practices in his field, partly by establishing several schools of architecture and design. He has built more than a hundred buildings that reflect his investment in local materials, social change and the environment. As a student and young architect himself, Doshi worked with two of the great Modernists of the 20th century: Le Corbusier and Louis Kahn. "For me, the best lessons ever given by Le Corbusier was by drawing on my table — he was sitting on the table and drawing with me," Doshi tells NPR. "So he was showing me how people would move, how they would go, how the birds would fly through the buildings, how you would see nature, landscapes. And when he drew a sketch of a tree, you could see the tree moving. And I think those experiences have stayed with me, and connected me to my childhood and my family and my life." Doshi started studying architecture in 1947, the same year India gained independence. His family built furniture, not buildings, but one of the architect's earliest inspirations was his grandfather's house, upon which new levels were repeatedly added, to accommodate three uncles and their families. "I always sensed the space as alive," Doshi remembers. "Space and light and the kind of movement that gets into the space for me are very, very significant. That's what generates a dialogue. That's what generates activities. And that's where you begin to become part of life. My architecture philosophy is: Architecture is a backdrop for life." Doshi's most significant buildings over the past decades include two housing projects and at least 10 schools of higher education, ranging from the Indian Institute of Management in Lucknow to New Delhi's National Institute of Fashion Technology. He remembers sitting outside under a tree for some of his childhood classes, so when he designs buildings meant for education, Doshi aims to connect the students with their natural environment. 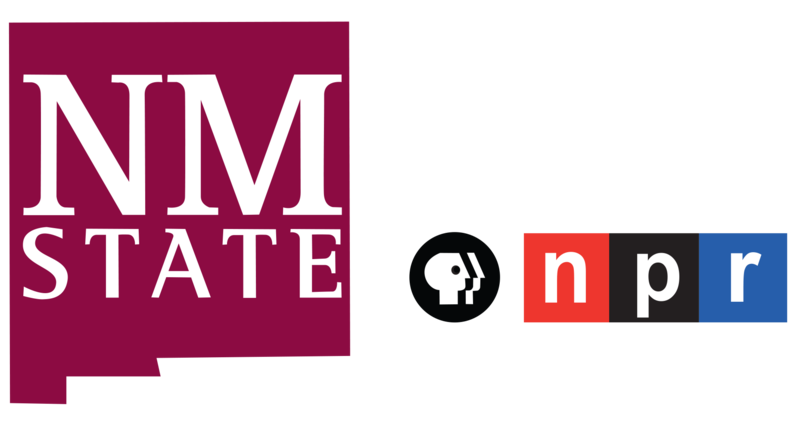 "We are constantly preoccupied with ourselves," he tells NPR. "And we are never aware of what goes on around us, or what the space is. And for me, [the] experiences I try to create in the work are those where people really begin to feel what is here and inside them, and what brings it out." While giving the annual architecture lecture last year at the Royal Academy of Arts in London, Doshi remarked on the three principles that guide his work: "porosity, paradox and practice." He also compared his architecture to a celebratory Indian meal, with lots of elements meant to be consumed in any order, rather than sequentially; diners may experience the meal however they please. 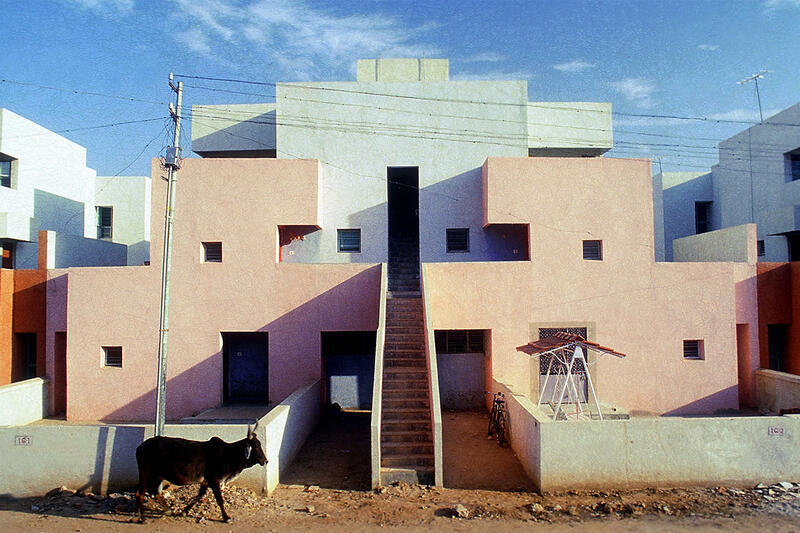 As an example, Doshi pointed to his own office, Sangath, in the city of Ahmedabad, which he completed in 1980. "You don't see the place as an office because it doesn't look like an office, really," he explains. "There's a garden. Meandering through, you don't see anybody. So you wonder whether the office has any people or not. You don't know where the entrance is. So actually, it's a surprise to discover it. But in the meantime, you change your attitude. You've forgotten the crowd. Then you are listening to the music that's going on through the small speakers around. Then you go into the office and you are ... below ground. I think it's like a journey. Architecture is a journey — a journey of discovery." And that's exactly what he wants visitors to all of his buildings to experience. "I want them to forget why they came. This is the way to hypnotize them," the Pritzker winner explains, his voice catching with laughter. "This is such a wonderful thing to do. Why should we take architecture seriously?" 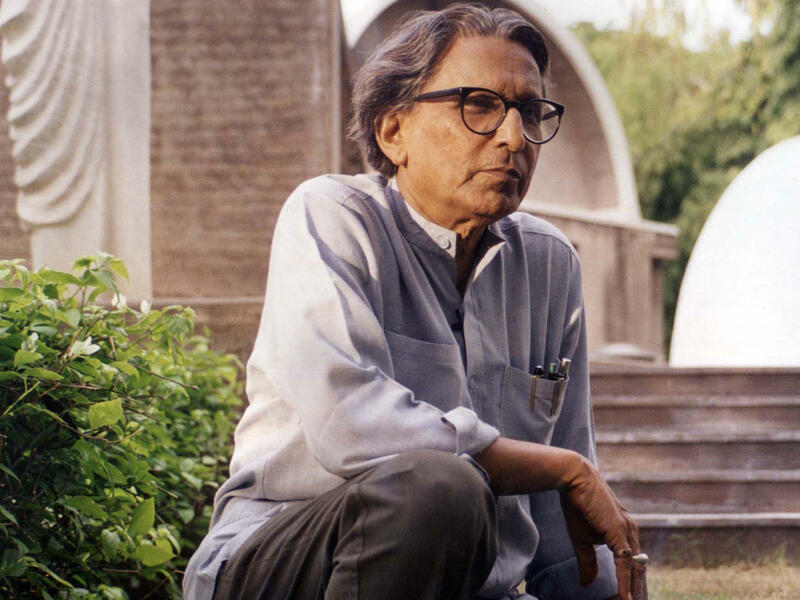 Balkrishna Doshi believes that, like life itself, architecture should be experienced with exuberance and wonder, and with an abiding sense of its endless possibilities. A 90-year-old Indian architect has won what's often called the Nobel Prize for that profession. NPR's Neda Ulaby introduces us to this year's winner of the Pritzker Architecture Prize. NEDA ULABY, BYLINE: Balkrishna Doshi was named after the child form of the Hindu deity Krishna by his family back in 1927. BALKRISHNA DOSHI: They wanted me to remain young (laughter). ULABY: That's Doshi on the phone with NPR after learning of his Pritzker. He says he grew up in a house designed by his grandfather. DOSHI: This is what I remember all the time, that I always sensed the space as alive, alive element. ULABY: The alive elements within the house kept expanding as the household grew to include the families of three uncles. They kept adding more and more levels and rooms. In a lecture to the Royal Academy of Arts last year in London, Doshi said living in such a structure remains one of his greatest influences - as an architect and a person. DOSHI: Living in a joint family, I learned more about cooperation, tolerance, togetherness, humility, generosity, interdependence. ULABY: Doshi's family made furniture. As a child, his eye for scale and proportion was noticed by a teacher who helped get him into architecture school in India. In 1947, the year of India's Partition, Doshi went off to Paris to work with one of the greatest architects of the 20th century - Le Corbusier. Doshi says his guru, as he calls the elder architect, taught him to think of buildings as porous, filled with the motion of the people in and around them. He still thinks of that while drawing his designs. DOSHI: So for me, the space and the form and my hand - they move together as if there are people moving inside the space. 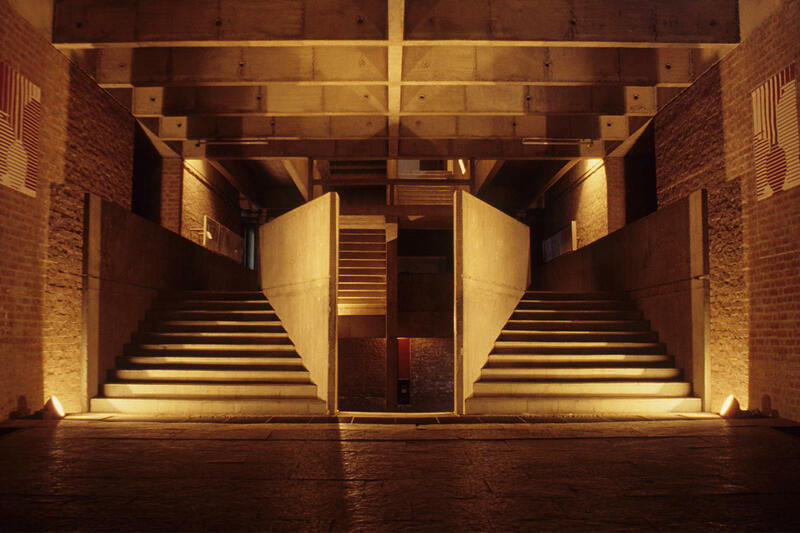 ULABY: Doshi came back to India in the 1950s and for a while worked with another great architect, the American Louis Kahn. Doshi would go on to design more than a hundred buildings. AARATI KANEKAR: I worked in his office as my first job. ULABY: Aarati Kanekar is now an architecture professor at the University of Cincinnati. She worked with Doshi in the 1980s. KANEKAR: Oh, my goodness. He's the most energetic person I have ever come across. ULABY: Kanekar says Doshi married modernism's restrained, meditative approach to the inventive, chaotic space of Indian city streets. He designed blocky, bright orange low-income housing on a system of pathways intended to make people interact and challenge the caste system. Aarati Kanekar says Doshi taught her that people and sustainability are intrinsic to design. KANEKAR: You would always think of materials. You would always think of craftsmanship. You would always think of natural light and ventilation. It was not something that - oh, you designed and you inserted things in. 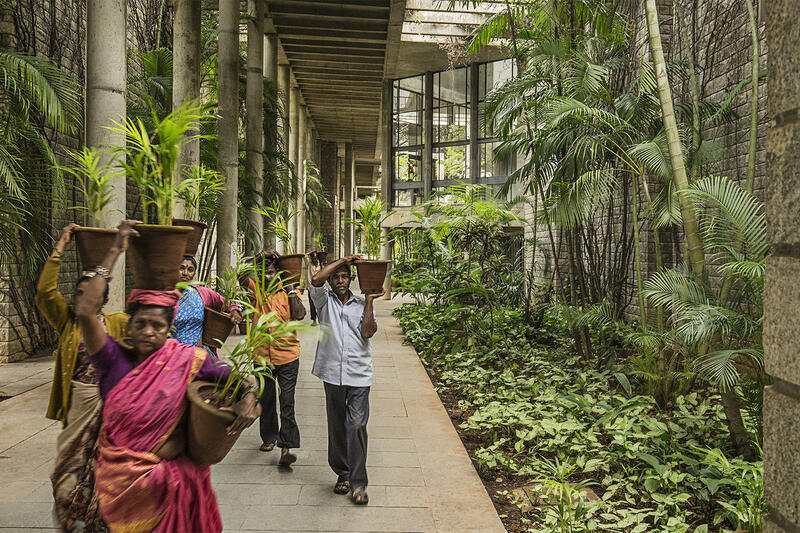 ULABY: And, she says, he's passed on his socially conscious values to generations of Indian architects. He's so famous in India, he's even played himself in Bollywood musicals. DOSHI: (As Himself) And the idea was that we should have only limited light. It contrasts so that the sunlight - you know, when it comes, it moves. ULABY: Balkrishna Doshi says his work reflects a country and culture defined by order and disorder. His office, he says, is intentionally designed to throw off visitors. They're made to meander through a garden. The door is hidden. It's meant to adjust their attitude coming from the chaos of the streets. DOSHI: I think it's like a journey. Architecture is a journey. A journey of discovery. ULABY: And what is it he wants his guests to discover? DOSHI: I want them to forget why they came (laughter). Actually, it's such a wonderful thing to do. Why should we take architecture seriously? ULABY: Balkrishna Doshi says architecture, like life, should be experienced with exuberance and wonder and with an abiding sense of its endless possibilities. (SOUNDBITE OF MARK REDITO'S "SO MANY THINGS TO TELL YOU") Transcript provided by NPR, Copyright NPR.